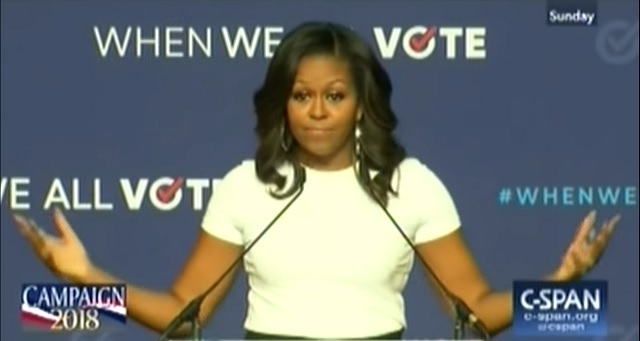 Michelle Obama encouraged people who "know nothing about nothing" to get out and vote while speaking at a campaign-style rally on Monday in Las Vegas. "You know what you need to be qualified to vote?" Obama asked. "You need to be a citizen ... you need to have opinions about the issues in your community -- that's what qualifies you to vote." "But what you do know is what you care about," she said. "For all the young people, you do know you have a voice. You do have opinions about what goes on -- that qualifies you to vote."